Question: What is Life Coach TV? Answer: A new source for positive, heart warming, thought provoking news and information. Life Coach TV will bring you stories from across America. You will meet leaders, volunteers and hard working American's trying to make a difference. America has not seen anything like this since Charles Kuralt traveled the back roads of our great country for CBS. When the Life Coach Bus pulls into your community, Life Coach TV will be there to film the events, meet the people and recognize those who give their time, energy and compassion to make our world a better place. 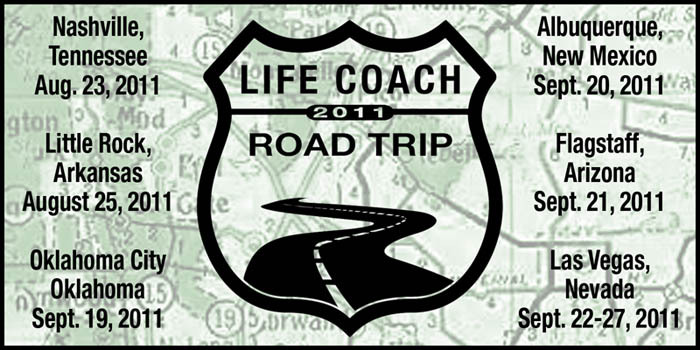 Watch for the start of the 2011 - 2012 Life Coach Road Trip. Jeff Wasserman, founder of Life Coach Marketing Inc. and his staff will be traveling from coast to coast visiting communities just like yours. Jeff will be broadcasting his Life Coach Radio show live, from small dinners to large fairs and events. Jeff will be meeting with unique individuals who have given their time, energy, love and compassion to help make this world a better place. Jeff will be meeting with people from all walks of life, who have overcome obstacles, challenges and hard times. Jeff will bring you the success and failures of these individuals. You will see first hand the determination they had to overcome these challenges and succeed in pursuing their dreams. If you see the big blue Life Coach Bus, please stop and meet Jeff and receive a free Life Coach 2011-2012 Road Trip T-shirt. Jeff will be interviewing special people who deserve some recognition for their volunteer work, their successes and failures and their ability to keep reaching for the stars. If you know of such an individual, please contact Jeff or his staff at 1-800-841-8776. Life Coach TV is a service of Life Coach Media. Life Coaching has never seen anything like this before. 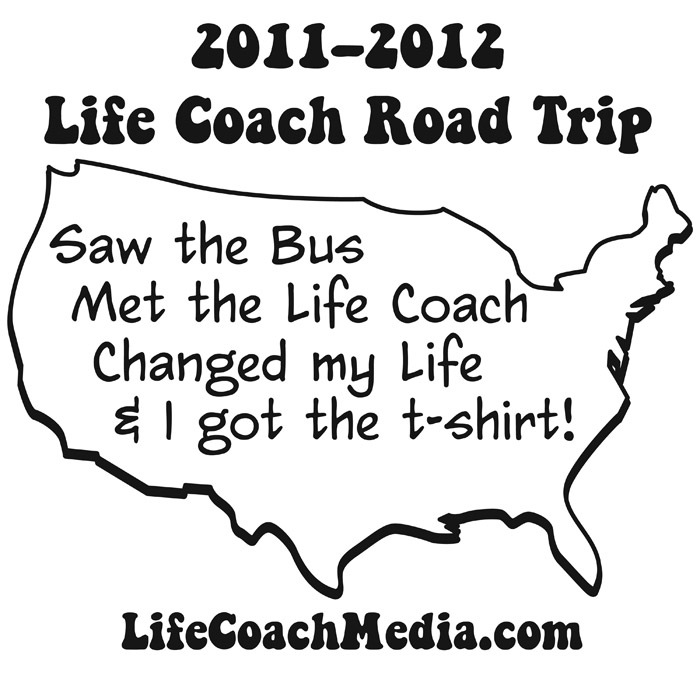 Jeff Wasserman and his staff will be taking the Life Coach Bus from coast to coast starting in 2011. Jeff and his staff will be stopping in small towns and large cities, meeting people from all walks of life. Learn more about Life Coaching and how it can help you improve the quality of your life. As Jeff likes to say on his radio show, Life Coaching is the change that will change everything. Do you know of an individual who deserves to be recognized for their effort in making this world a better place? If so, please call Jeff and his staff at 1-800-841-8776. When the Life Coach Bus comes to town, Jeff will be meeting and visiting unique individuals for a segment on Life Coach TV. America has not seen anything like this since Charles Kuralt traveled the back roads for CBS. Looking forward to meeting you in the near future. Life Coach Marketing - Promoting the Life Coaching profession. Life Coach Radio - Jeff Wasserman's talk radio show. Changing lives, one caller at a time. Life Coach TV - Bringing you positive, heart warming and interesting stories from coast to coast. The Coaching Process - Learn how Life Coaching works and how it can help you. 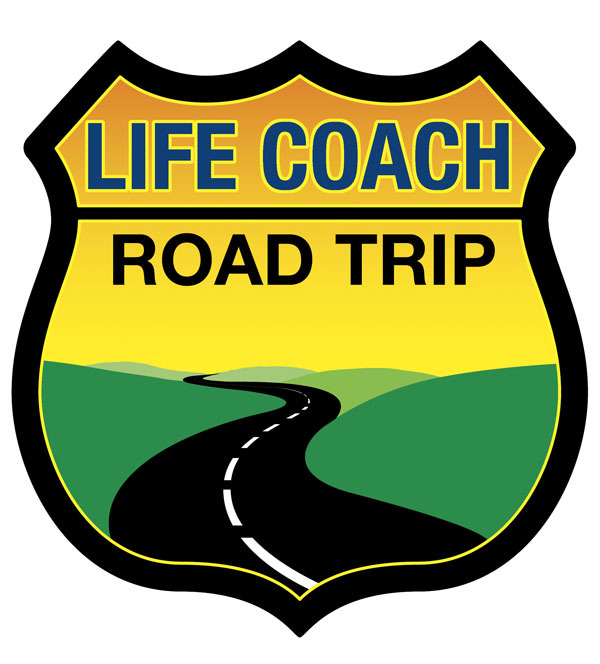 Master Life Coach - Meet Jeff Wasserman and learn more about his 2011-2012 Life Coach Road Trip.